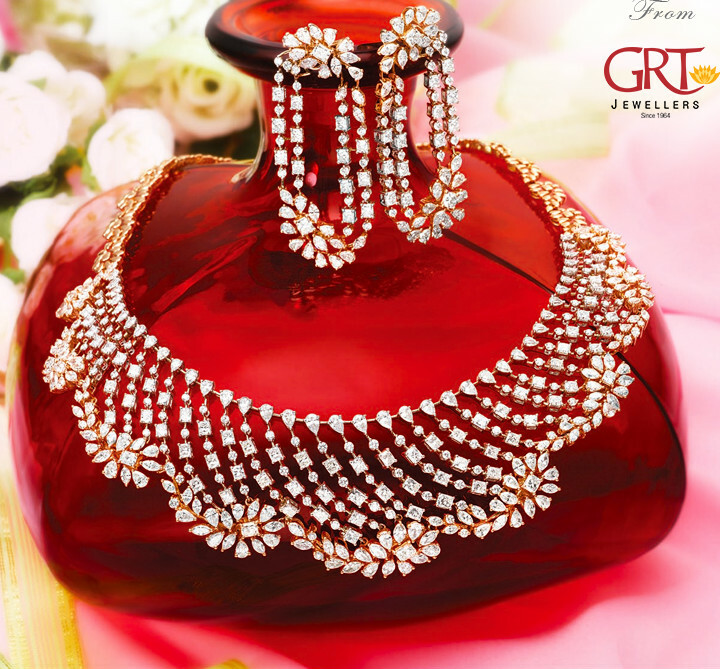 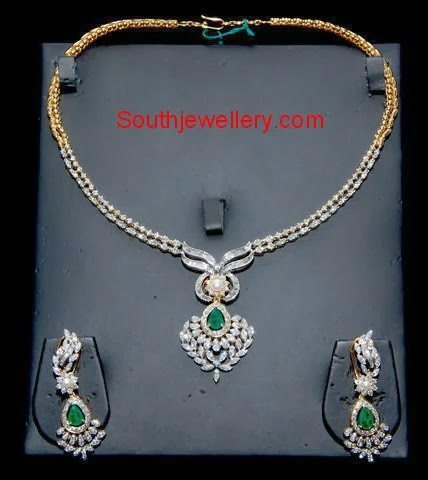 18 carat gold stylish bridal diamond necklace and earrings set from GRT Jewellers. 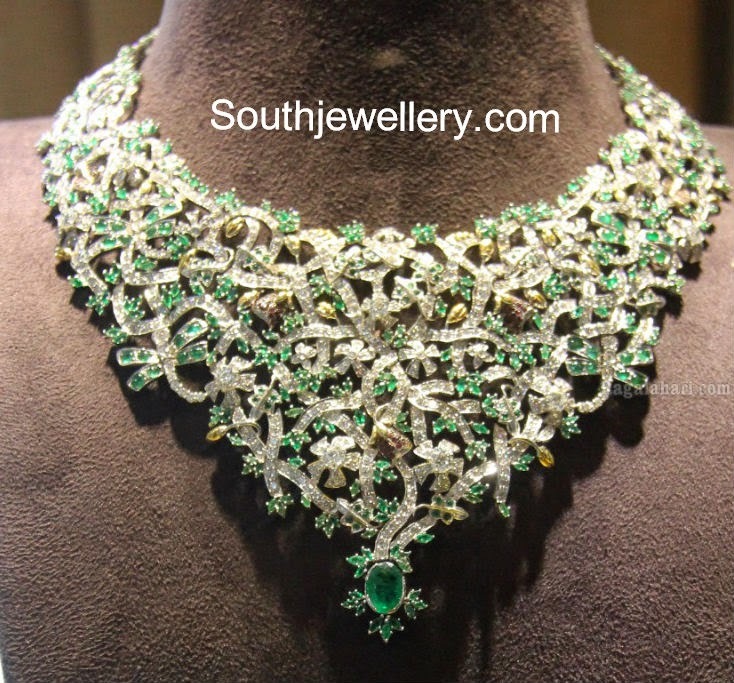 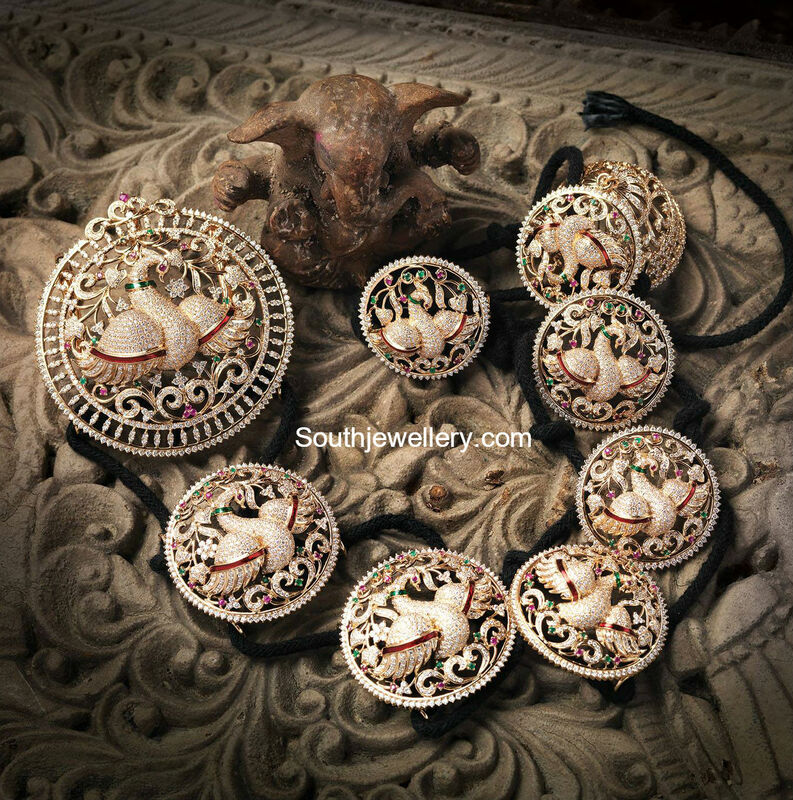 18 carat gold dazzling choker studded with rose cut diamonds and zambian emeralds in intricate design. 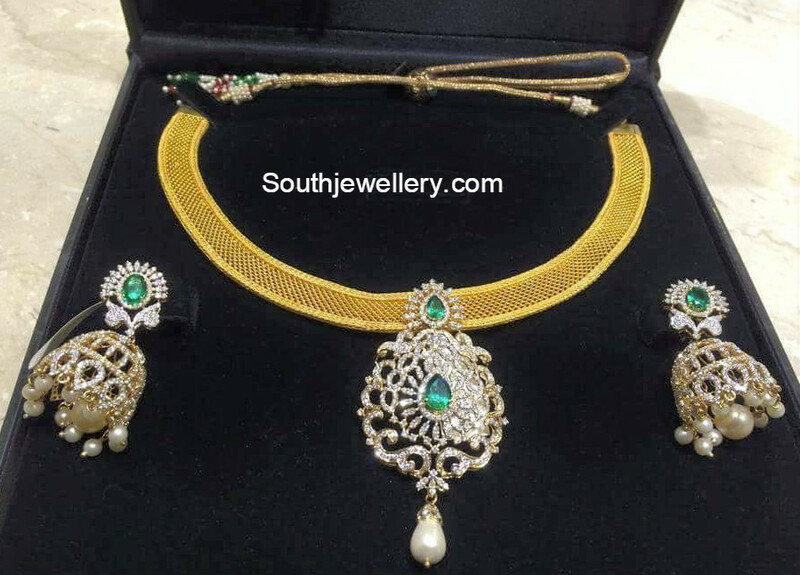 This sparkling choker is from Tibarumal Jewels.